Cooling and heating of must, wine, beer and other liquids such as cider, carbonated soft-drinks, distillates etc. The Chilly MAX unit has a compact design. It takes little space and is very easy to install and to start-up. The units are mobile on wheels. 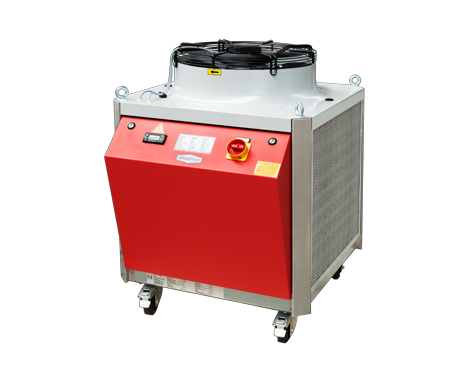 The same as the Chilly shelf-top units, the Chilly MAX is equipped with a with a hermetically closed motor compressor and with a complete cooling water circuit containing stainless steel water tank and centrifugal pump. Also, they contain an additional heater which is integrated inside a stainless steel water-tank. 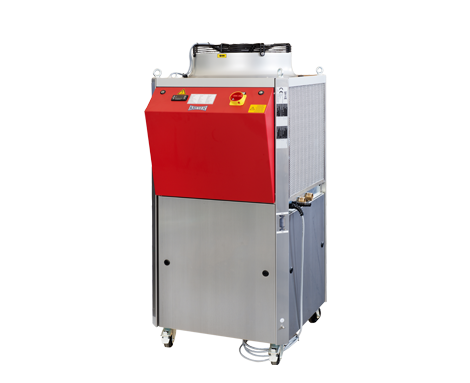 The Chilly MAX series is equipped with a micro-channel condenser which enables even more efficient heat-transfer. 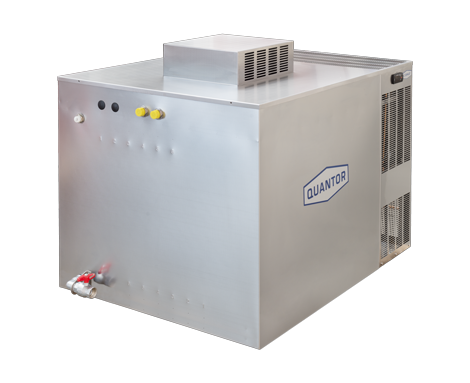 The ventilator is mounted on the top part of the unit, so the unit can be placed near a wall with any side facing it. The side-boards are very easy to remove, allowing easy access for maintenance. 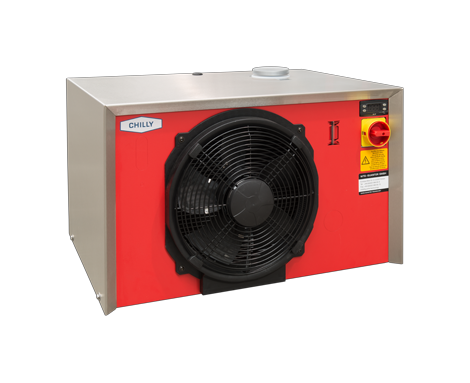 The Chilly MAX is available in three sizes and capacities from 6,4 – 12,7 kW. It is the optimal solution for small to medium-size wineries, breweries, cideries, etc. that mainly wish to cool but that also need to heat their products from time to time.